Time and wear and tear are going to eventually start to prevail over your tile’s durability, leaving behind dirty and sometimes damaged surfaces. If you’re wondering whether you need professional tile repair for your home, here are some ways to look at it. Since a tile repair professional is trained with tile materials and grout, he will be able to provide your floors and walls with the best possible services. 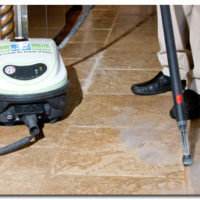 A technician is equipped with the proper tools and equipment needed to restore your tile to like-new condition. 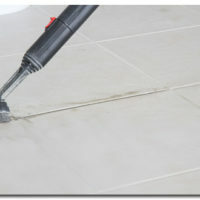 There are different tile repair methods and techniques. Knowing which method to apply to individual situations can sometimes be tricky. With the help of a professional, you can get the exact repairs needed for the unique scratches, cracks, discoloration or water damage you are dealing with. When tile replacement is needed, it’s imperative that you choose the color, style and design that matches with the rest of the tile. It can sometimes be hard to find the ideal match for the replacement. A professional will be able to help you locate and install the right option. Professionals can give you the special insights that lead to the best results. For instance, by placing larger tile in a small room, it can help the space appear bigger. On the other hand, fitting a big room with small tile may make it seem cluttered and overwhelming. Finding the ideal tile size is just one of the ways a professional can help you improve your home. By hiring a professional to repair your tile, you can ensure that the job is done to your satisfaction. To take the guesswork and potential mistakes out of the process, contact your local Grout Medic today.